errata Little Legs, round 1 should read: “Sc 6 times in 2nd ch from hook”, and the stitch count for following rounds should read (6). This is a ‘soft-shelled’ crab of a new kind! 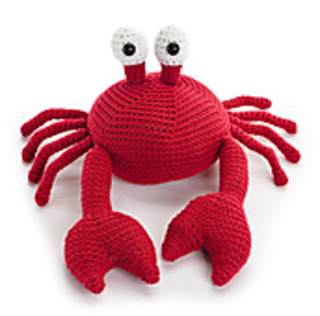 With his big eyes and adorable pinchers, this guy is sure to alleviate any crabbiness you might have!